Not one organisation of, or for, disabled and terminally ill people have campaigned for any change to current legislation. This includes organisations that advocate on behalf of people with multiple sclerosis and motor neurone disease; two disabling conditions that are often referred to when describing who would benefit most from a change in legislation. 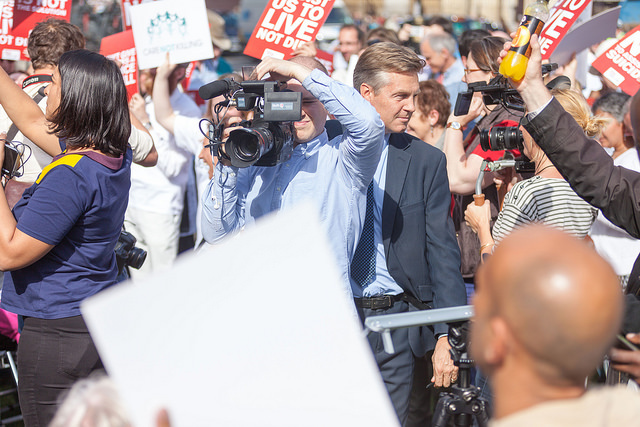 Opposition to assisted suicide is not confined to the medical profession and religious groups. Most importantly, it includes the very people whom would be most affected by any change in legislation. 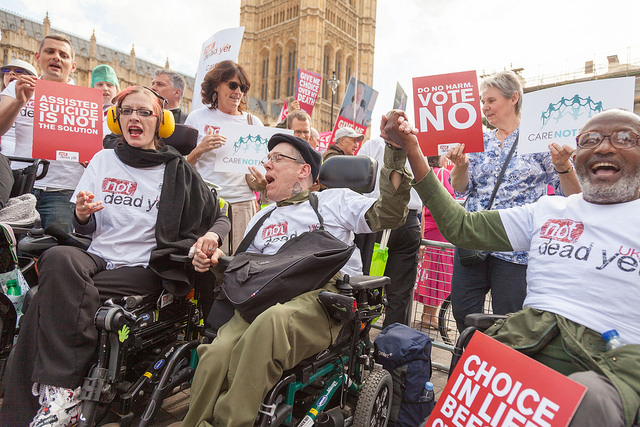 Not Dead Yet UK (NDYUK) is a network of disabled people in the UK who have joined a growing international alliance of disabled people, who oppose the legalised killing of disabled people. 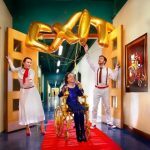 All those involved are disabled people including people with physical and sensory impairments, learning difficulties, and mental health conditions. 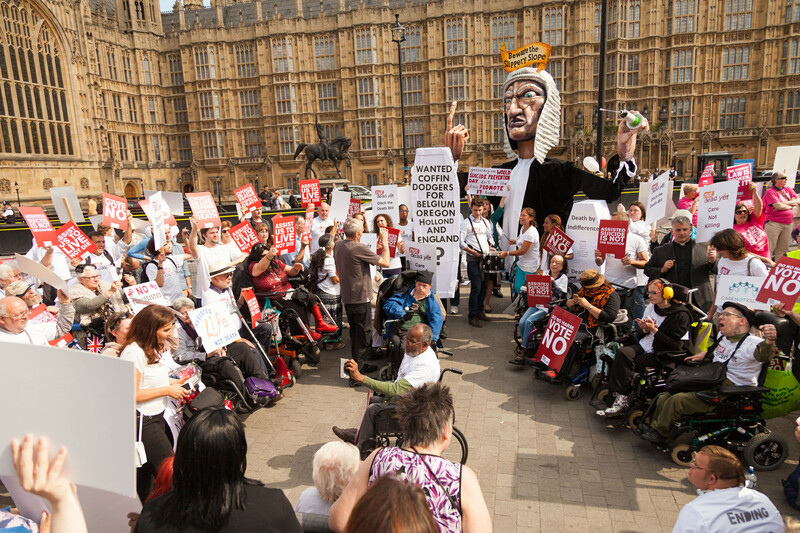 Founded in 2006, NDYUK was founded by Baroness Jane Campbell, a disabled person with direct personal as well as professional experience of the issues. 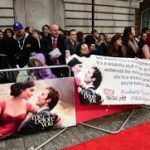 NDYUK is responding to an increasing number of well coordinated campaigns aimed at legitimising the killing of terminally ill and disabled people, which would inevitably result from the removal of legal barriers and the promotion of social acceptance of voluntary euthanasia and assisted suicide. The cultural backdrop. Disabled people have become aware of the dangers associated with the call for assisted suicide to be legalised. The idea that disabled people, including those who do not have long to live, are “better off dead” is not new. We believe individual disabled people’s suicidal cries for help come from a lack of proper practical, emotional and medical support needed to live dignified lives, rather than from the ‘suffering’ they experience as a result of a medical condition. Such loss of hope – which forces some to see death as their only option – is easily misinterpreted in a society that continues to see and treat disabled people as second class citizens. Individuals risk being easily exploited by the ‘right-to-die’ movement or, worse, by family, friends and health care professionals. Their attitude is not compassionate – it is prejudiced and disablist. We oppose policies that single out individuals for legalised killing based on their medical condition or prognosis. The distinction between disability and terminal illness is a myth. Definitions of ‘terminal illness’ can never be precise. 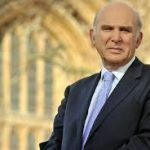 For example people with Multiple Sclerosis are disabled people and yet they are the people targeted most frequently as beneficiaries of assisted suicide legislation. This serves only to create a false distinction between those who will be legally able to request assisted suicide and others who will not. In this way, proponents claim they seek a small change in the law. But this is a crack that can be steadily opened wider and wider until any person may assist another disabled person to die without consequence. NDYUK believe the majority of people who would be affected by assisted suicide legislation are disabled people. Disabled people, including people with learning difficulties and neurodiverse conditions, survivors of mental health systems, and people with sensory and physical impairments have demonstrated clear reasons to resist the legislation. They have asked for a national representative voice to put forward their fears –NDYUK has answered that call. People already have the right to refuse unwanted treatment. Suicide is no longer illegal. Making it legal to assist someone to die does not give that person a ‘new’ human right – it provides a new immunity from justice for those who provide the assistance. Killing is not just another medical treatment option, and it must not be made any part of routine health care. In these days of cost cutting in the NHS and social care, assisted suicide could all too easily become an attractive ‘treatment’ remedy. 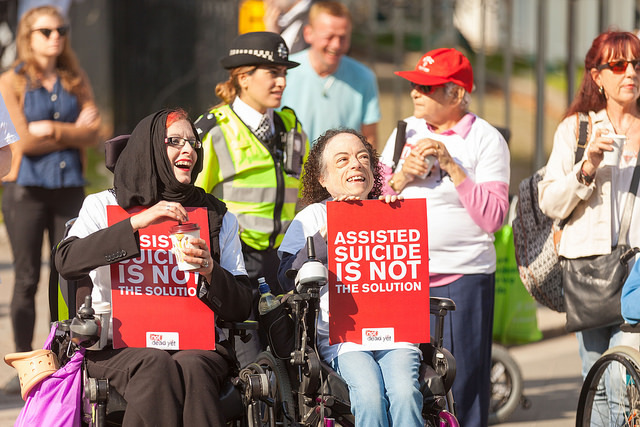 We believe that legalising assisted suicide will inevitably lead to increasingly adverse judgements about the quality of life of disabled people. This will undoubtedly begin to affect the many disabled people who cannot speak for themselves and who have not requested death. Research in the Netherlands has shown that legalising assisted suicide has led to nearly a quarter of overall intentional killings of patients happening without request. This research has also shown that intentional killings, by either withdrawal of treatment without the patient’s permission or by deliberate over-doses of symptom control, have increased. Nowhere is there evidence to show that legalising assisted suicide has deterred medical practitioners from intentional killings, or that the number of these killings has declined. If we give in to the demand to assist in a suicide we are reinforcing attitudes that say that the lives of disabled people are not worth living – that they are a particular burden to themselves, their relatives and friends, and the state. These negative attitudes are faced by disabled people all the time. This discrimination does not just happen at moments of crisis or imminent death, they are the underlying reason why society is so inaccessible to disabled people and excludes and isolates us systematically. NDYUK’s position links with that of the Disability Rights Commission. In their policy statement on assisted suicide they say there are a number of steps that need to be taken before we contemplate assisted suicide legislation Abolishing discriminatory guidelines and practice on withholding and/or withdrawing life-saving treatment for disabled people; Producing demonstrable reductions in discrimination and inequalities in health services; Improving the quality and capacity of palliative care provision equally across the country and ensuring supply does not lag behind demand (as is currently the case); Implementing effective rights to independent advocacy and communication support; and Implementing rights to independent living to create a society where all disabled people are able to participate fully as equal citizens. NDY UK echoes this position wholeheartedly.